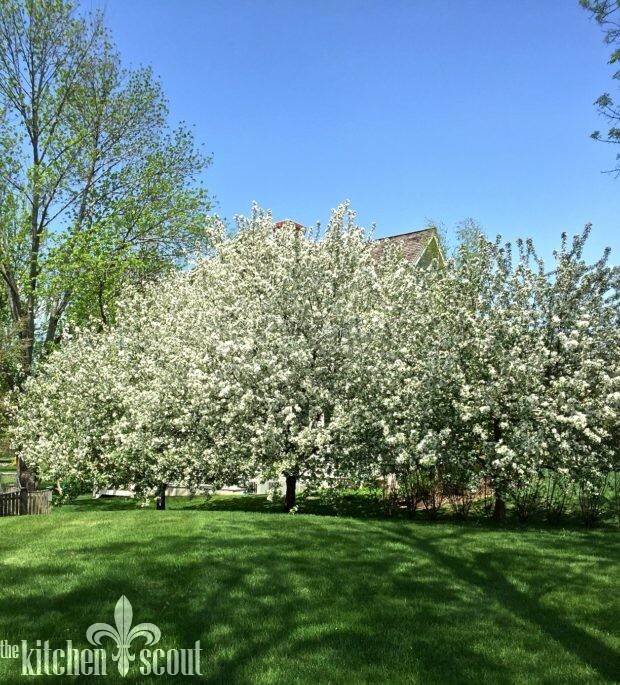 As many of you know from reading the blog from the start, or from being my friend outside of The Kitchen Scout, my Armenian heritage is extremely important to me. It has shaped my life in so many ways, mostly positive. Two years ago, I wrote a post that shared both a recipe for Armenian Rice Pilaf and some background on the Armenian Genocide and my personal connection to it. The post was published on the Genocide’s 100th anniversary on Friday, April 24, 2015. I decided to republish that post’s text below (and the links for all Armenian related recipes on the blog) because today, Friday, April 21, 2017 is another very important day for many Armenians around the world as we anticipate the 102nd anniversary of the Genocide this coming Monday. The Promise is opening today in 2,000 movie theaters across the country for a very limited run and I encourage you to go see it. I will be attending a showing tonight with my husband and 148 other parishoners from my church. I am very excited and plan on bringing a big supply of tissues. This film is the first large scale movie to be set during the Armenian Genocide. Co-written and directed by Oscar winner Terry George who also directed Hotel Rwanda, the film stars Academy Award winner Christian Bale, Golden Globe winner Oscar Issac, Charlotte Le Bon and Angela Sarafyan. The Promise was completely financed by the late Kirk Kerkorian, Armenian philanthropist and former owner of MGM. Producer Eric Esrailian said Kerkorian wanted the film to have a love story and be an epic that evoked the feeling of a Lawrence of Arabia or Doctor Zhivago. Most importantly, he hoped the film would help to educate viewers about the first genocide of the 20th century as well. Incredibly, 100% of the proceeds from the film are going to non-profit organizations, including The Elton John Aids Foundation and other human rights and humanitarian groups. The production company, Survival Pictures has already pledged $20 million to establish The Promise Institute for Human Rights at UCLA’s School of Law as well. The bad news is that this film has not been able to receive widespread distribution for reasons producer Esrailian eloquently explains in this article. Charlie Rose interviewed George and cast members who provided even more detail about the film and its challenges and you can watch that piece by clicking here. I cannot give you a first hand review of the movie given I have yet to see it myself. However, every review I have read (see links below) are very positive overall and strongly encourage people to go see the film if only for a history lesson about atrocities that sadly, are still being repeated in many places throughout the world today. From a very young age, I like many Armenians, have always felt it was my duty to help educate anyone who would listen about this Genocide that affected my family and the families of so many of my friends. I remember doing a presentation about the Genocide during middle school with a friend and at the time, Armenia was still a republic of the Soviet Union. My friend and I were taunted afterwards by some bullies in the class who called us Communists as a result of their ignorance. It’s sad that was what they took away from our candid presentation. Nevertheless, it was worth the harassment to bring attention to this piece of history that had been largely neglected. 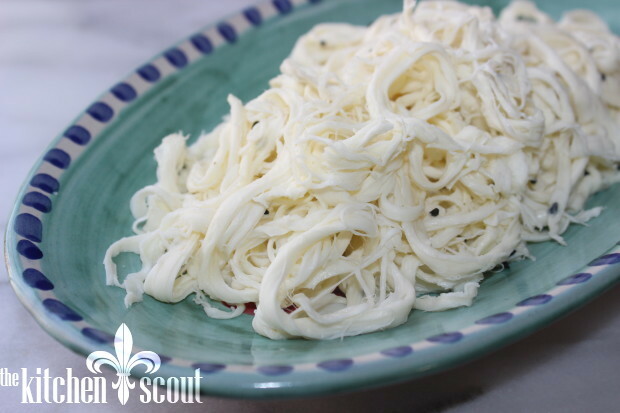 As I mentioned, at the bottom of the post, I have listed all the Armenian related recipes currently on the blog. 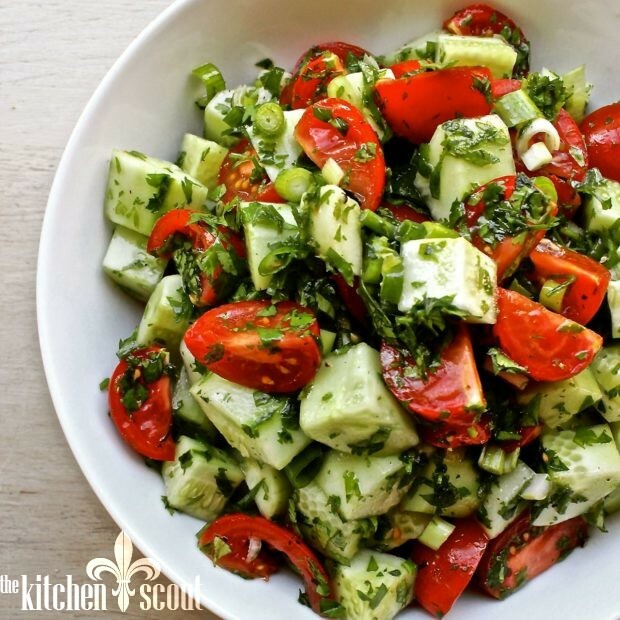 The Cucumber and Tomato Salad is my most popular pin on Pinterest and is worth a try! We made the grilled Lamb Kebabs for Easter (as did my friend, Kate) and they were delicious. 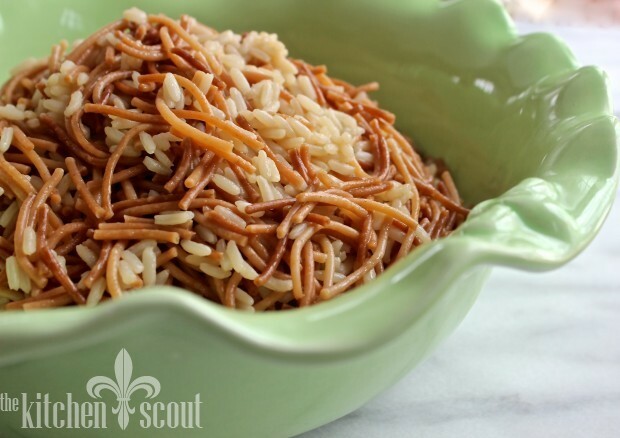 And of course, Armenian Rice Pilaf should definitely be on your to-try list as it’s a reader favorite! Reprint from The Kitchen Scout April 24, 2014, the 100th anniversary of the Armenian Genocide (edited). Everyone’s pilaf is a little different. Some like it super dry and some like it wet. Most will agree that the pilaf at the bottom of the pot is the tastiest. If you’re a regular reader of my posts, you may recall Easy Roast Chicken? I mention in it that pilaf is always served with chicken in an Armenian home. 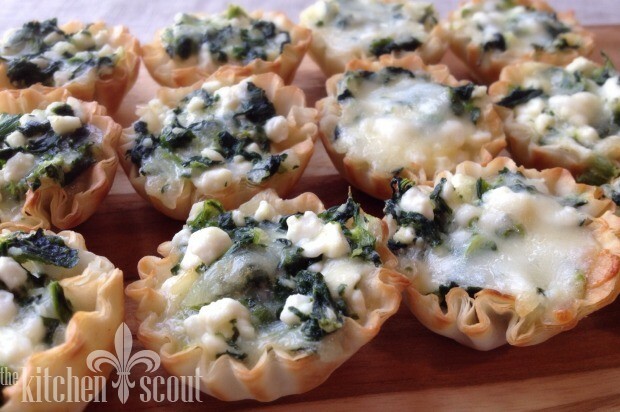 I thought this week was the perfect time to share the recipe. This is not your boxed rice pilaf, or the kind they read off in your options of sides at a restaurant. I hope you make it sometime soon. 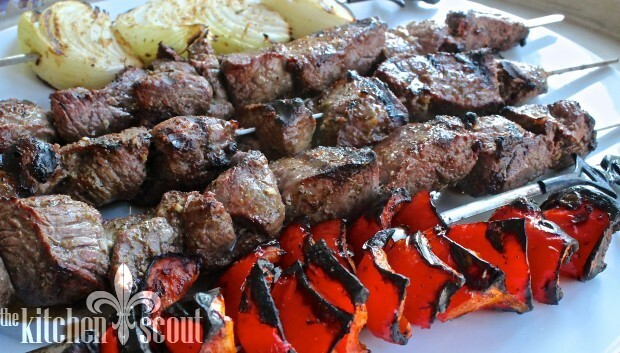 Some of my favorite Armenian inspired recipes! 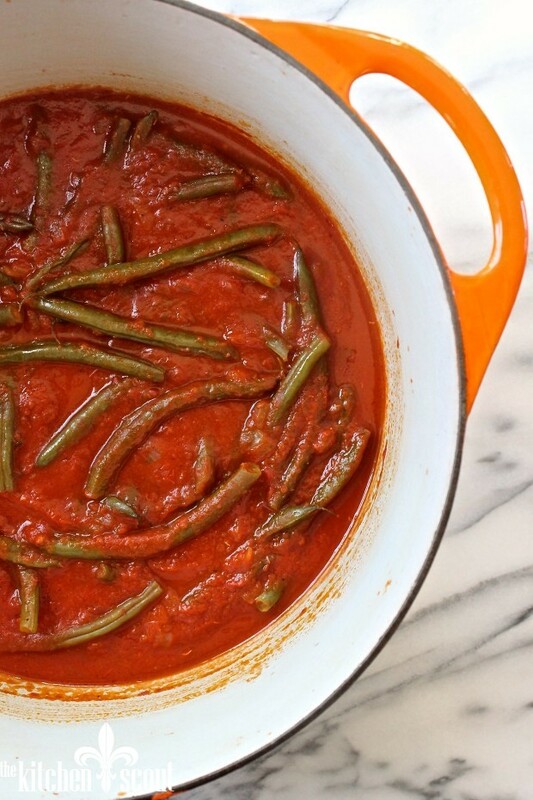 Fassoulia (Green Beans in Tomato Sauce). One of my personal favorites. Great post, Val. It’s more important than ever to remember the Armenian genocide and your delicious Armenian recipes are a link to all those lost. I’m so grateful for my hands-on pilaf lesson and just bought more vermicelli in Belmont so I can make it again soon. Still haven’t bought the College Inn broth…but still….! Thank you for the inspiration and for the delicious recipes. I made the lamb kebabs, veggies, rice pilaf, and the tomato and cucumber salad last night for my son who was returning from a community service trip (tired and hungry). We all loved it! Not a bite left. The marinade was especially tasty. Well written! (Both the 2015 & 2017 posts) I too agree that Armenia was once “A faraway place that people hadn’t heard of” during my childhood too. And I never thought I would see the awareness/attention that has been brought to the Genocide in my lifetime. Pilaf will always remain a “warm hug in a bowl” for me and my family as well. Lastly, while i did not know your aunt Pyloon, I am lucky enough to have some of her handwritten recipes (passed down from my grandmother). God bless! So thoughtfully composed Val. I always enjoy your writing and recipes, but this tugged on my heartstrings. Well done my friend! Made the sweet potatoe nest for Easter brunch. It was so easy and so delicious. Everyone loved it. I just grated the sweet potatoes with a hand grater. Thanks Val, I love all your recipes and comments..